I’m sitting at my booth at Menhir, an SCA event in Murfreesboro, TN as I’m winding my way to ChattaCon next weekend. 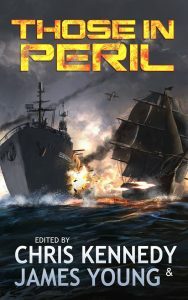 Also, the cover for Those In Peril, the alternate naval history anthology that includes my story “Far Better to Dare, was released. As you can see, the cover is really cool and I’m excited to be a part of the project. 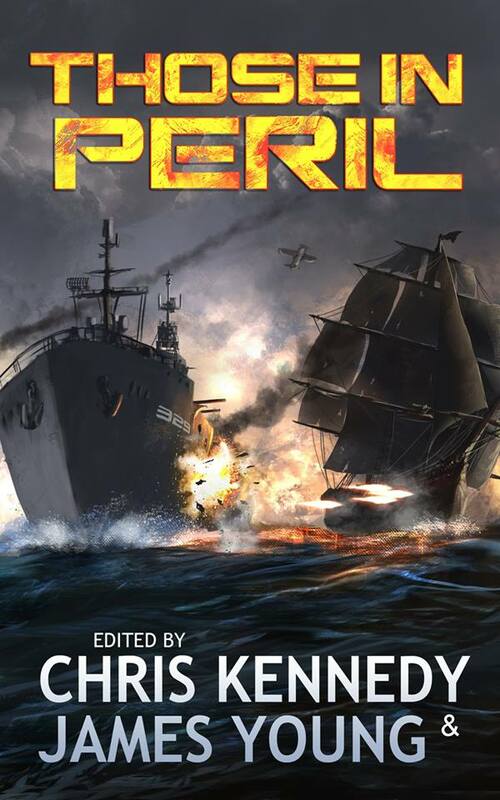 Also, “Far Better to Dare” is perhaps my favorite story that I’ve written so far. This week I’ll be working on two projects. One, throwing more words at the page on The Feeding of Sorrows. I’ll be in a sort of writer’s retreat this week and anticipate major progress. Second, I’ll be mostly alone, so I can read The Eyes of a Doll out loud without annoying anyone. It’s time to do a re-edit of it so I can get new stock for Gulf Wars. With that, I better start focusing on customers passing by. Have a great week, everyone. One interesting note about Audible books is the detail to me. I have a tendency to read the gestalt of a paragraph instead of every word. I miss some details here and there, but it suits my need for speed. With audiobooks, that’s not an option, so it gives me an interesting perspective, especially on books as deep as Dune. Dune is, of course, full of great quotes. This is one describes part of the challenge of a writer, I think. Ended up not doing a Mag Review because I was driving Thursday and Friday.